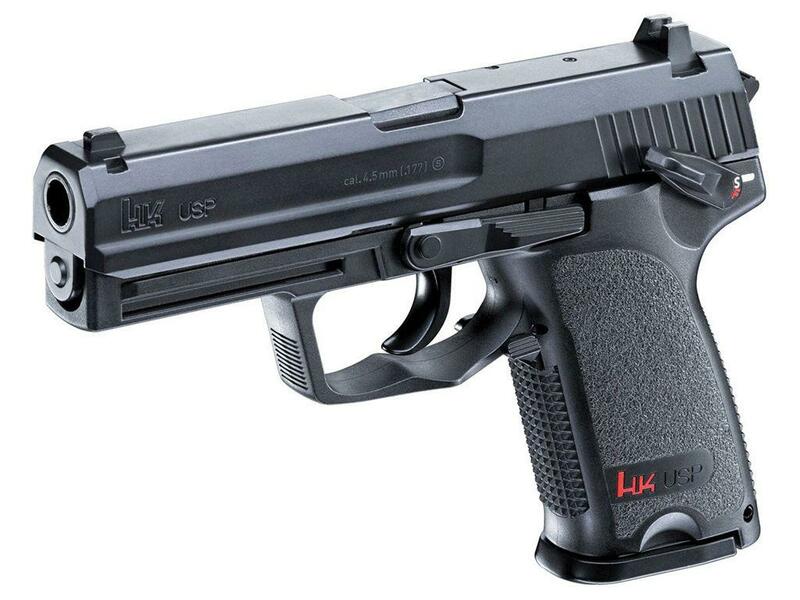 Umarex HK USP 4.5mm BB Pistol | ReplicaAirguns.ca | Easter Weekend Sale! Trigger Pull: The trigger pull on this gun is medium; it has a predictable break point and is easy to shoot. Accuracy: This was my second time shooting the H&K USP at a target from 20 feet out free standing and again it performed about the same with a decent 2 inch grouping. Build Quality: You would think as this air pistol is mostly all plastic on the outside, that it would seem cheap and not so well made, but in fact the opposite is true! The plastic is of very good quality and from looking at it you would think the slide was actually made out of metal. Many of the internal parts and the full size drop free magazine are made out of metal giving the H&K USP a very solid and hefty feel. Realism: The Umarex H&K USP is a licensed replica of the real H&K USP automatic pistol. It is an extremely close looking and accurate copy. Good price for such a realistic looking replica - excellent prop gun! Good accuracy and power combination. 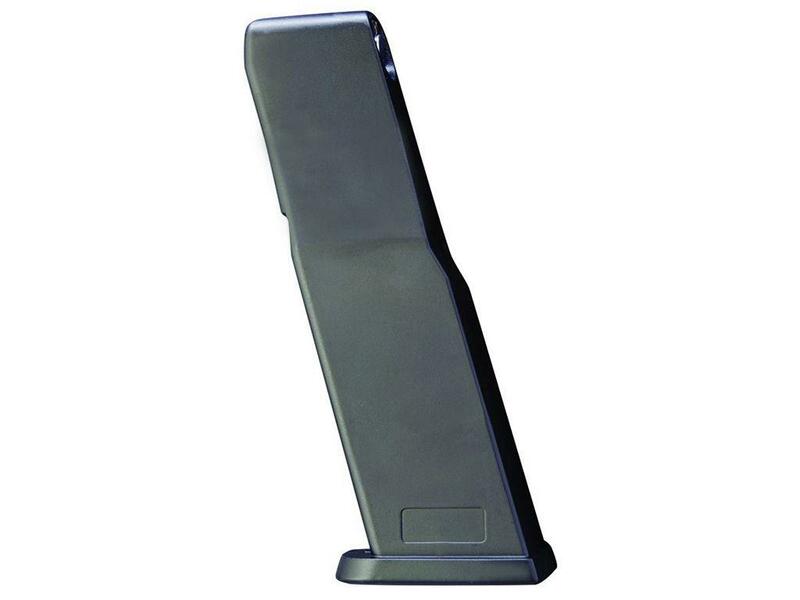 Nice full size 22 round drop out metal magazine.. Even though it has a lot of plastic, they used high quality materials. Would have been nice to have at least a metal slide. Slide catch is moulded into the frame and the slide does not function in any way. Comments: This is another low cost replica air gun from Umarex designed for the more entry level buyer. It's actually a very well made gun despite all the plastic parts and it even has all the H&K USP licensing and trademarks. There is a lot of good with the Umarex H&K USP, it's fairly consistent and accurate, has good fps, uses "good quality" plastic, and comes in at a very affordable price. Good weight and quality for the materials used. This gun although looks very accurate and actually feels very good despite being plastic is not even worth $50. The trigger requires like 15 lbs of force to engage and the BB's constantly Jam. It is not at all accurate outside of 10 feet. At least it is super easy to load for all the misfires you'll have to deal with. 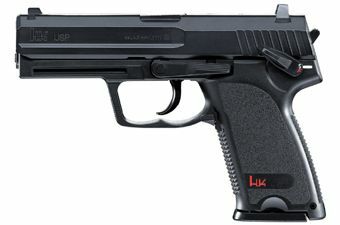 http://www.ReplicaAirguns.com - Umarex H&K USP CO2 BB Gun Review. 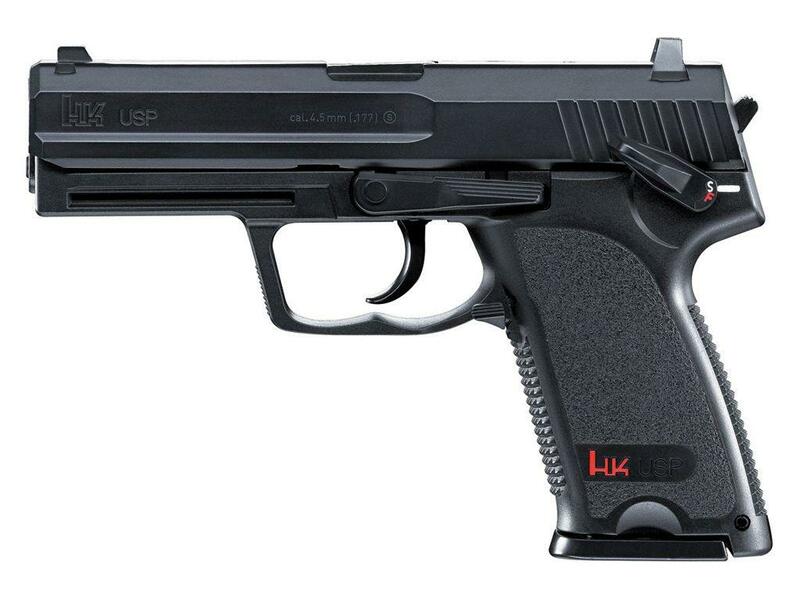 This is a table top review of the Umarex H&K USP CO2 BB pistol. I show you around the gun and walk you through its basic operation and handling. I have included a target example showing you a grouping I got from 20 feet out with this gun. The H&K USP is mostly plastic but has a nice full size drop out metal magazine that helps give the gun good weight and feel. The Umarex H&K USP is a well made and extremely accurate replica of the real H&K USP firearm, and at a very affordable price. It's also a decent shooter with a fairly high 400 fps and good accuracy for a smooth bore BB gun.